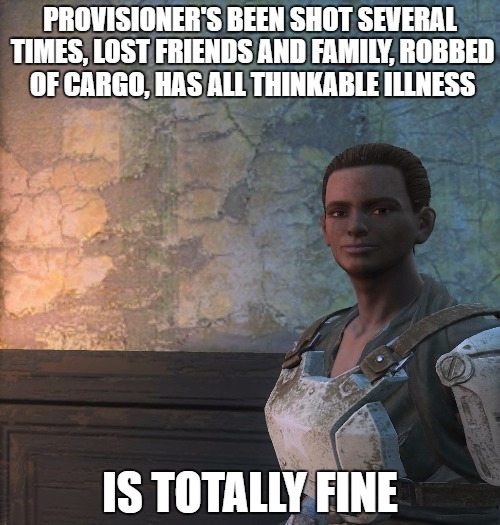 No matter what the Commonwealth throws at this girl, she never gives in to depression or nihilism. She may be a bit on the more apathetic side, but still impressive. She always wears that stoic, unaffected face.